I am an attorney and homeowner proudly based in Southwest Florida. I'm grateful the practice of law allows me to meet people from all walks of life and help them along the way. I'm a 2003 graduate of Georgia State University College of Law in Atlanta and licensed in both Florida and Georgia. I am a former Assistant District Attorney with invaluable experience in civil, criminal, and family law. Law Office of Jeffrey Briscoe practices especially in the field of estate planning. I can help you understand, and properly utilize, the critical concepts of estate planning, including wills, living trusts, the probate process, durable powers of attorney, health care surrogates, and living wills. I may also be able to help with other challenging legal issues such as family law, insurance claims, real estate, and more. Contact me directly to set up a free consultation. For more information, please visit my website. Yes. Estate planning typically involves a fixed fee for work performed. Rates vary depending on nature of work. Estate planning includes the creation of wills, trusts, powers of attorney, health care surrogacies, living wills, and more. When the future and well-being of you and your loved ones are at stake, you need to make sure you're doing everything to benefit those loved most. I may be able to help you in this intimidating process. I know the law here in Florida. And I know how to help families. Turn to the Law Office of Jeffrey Briscoe to see if I can help. Free consultations. I'm grateful the practice of law allows me to meet people from all walks of life and help them along the way. Estate planning in particular offers an attorney the chance to assist his or her client with some of life's most significant decisions. Contact me to see if I can help you in your time of need. I'm proud to call Southwest Florida home. We live in a beautiful corner of this great country and I am honored to practice law here. Personal attention. All aspects of your legal need will be supervised and directly addressed by me personally. I stand ready to stand up for you. I'm a 40-year-old attorney and homeowner from Port Charlotte where my office is located. I proudly serve Southwest Florida with a full-service civil law practice specializing in estate planning and foreclosure defense. My wife and I are raising 3 great kids and are proud members of Edgewater United Methodist Church in Port Charlotte. I'm a 2003 graduate of Georgia State University College of Law in Atlanta and licensed in both Florida and Georgia. 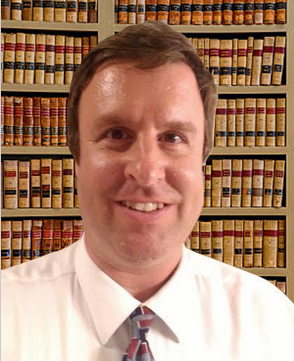 I am a former Assistant District Attorney with invaluable experience in civil, criminal, and family law.